Mr. Ned Rawles died Thursday, January 31, 2019 at his home in Rocky Mount, NC. Viewing: 12:00 PM - 1:00 PM Thursday, February 7, 2019 at the funeral home. 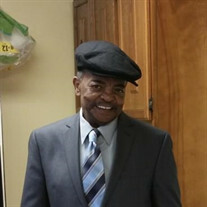 The family of Mr. Ned Lewis Rawles created this Life Tributes page to make it easy to share your memories. Send flowers to the Rawles' family.